Do you know that Indian invented the ships ? Eroupe has only soft wood trees. The ships made of those woods are good for sailling the Mediterranean or smaller sea. They were no good for sailing on the oceans. The ship of Vasco de Gamma was about to collapse, when it reached India. It is Indian marine engineers, who repaired that ship and made it worthy again for sea travel. Which country has trees that provide the hardest wood? India. Hard woods like Teak and Mahogany are native to India. Ancient text mentions ships with 100 oars. Such ships sailed over seven oceans and returned to India. Visitors to India from Greece and Rome during the pre Christian times wrote that the Indian knew that the earth is in the form akin to sphere and one can reach the same place after sailing through seven oceans. The Bhudist Jataka stories wrote about large Indian ships carrying seven hundred people. 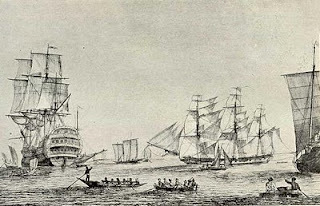 The second item exported by the erstwhile British East India Company was Indian ship. A few of this ships are still in service, and are used for training cadets of the British Navy. During World War II, Kings of India had lent some hundreds of their ships to the British for use as hospital ships. Swami Dattavadhut, Prophecies 1998 to 2100, Vanitha Books, Mumbai, 1997, pp. 33-42. In most cases of throat infections, your tonsils get swollen up. At this point, most doctors suggest that you get them removed as they cause unnecessary pain and discomfort. They consider it another "useless" organ like the Appendix, and thus want to get it out of the way. 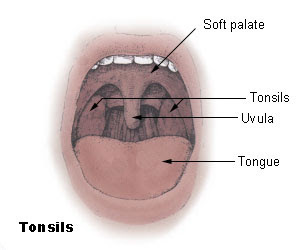 Rather than being a cause for concern, the tonsils actually act as a barrier. They prevent whatever infection you have incurred from entering your digestive system, thus keeping any serious problems at bay. But they get swollen up in return. Though, the primary reason is to avoid any infections to be communicated from one person to the other, another factor that must be considered is the regular cleansing of your tonsils. When you drink water bending your neck and let it flow from top, it obviously flows over your tonsils and cleans them. Thus, it will wash away unneccasary food particles and maintain your throat in order. Do you know that the most sensitive organ in our system is not heart or brain but it is the INTESTINE? - Heat congestion - Migraine - Heavy breathing - Inability to concentrate - Heat boils - Bloated stomach - Pimples - Lethargy - Sleeping problem - etc. Avoid fried food, white flour and white sugar products, cheese, and processed food. Try not to drink tea or coffee. Dry, cold or light food should not form a large part of the diet. Drink water every hour during the day. However, do not drink water immediately after or before meals. Try not to overeat, and have at least 3-4 hours between two meals. Avoid heavy food, or food that is difficult to digest at night, and eat at least 3 hours before sleeping. Drinking a glass of hot milk before bed is also good. Develop a habit of drinking water in the morning. Start with 2 glasses of water, and increase intake up to 3 - 5 glasses. It is more beneficial if this water can be stored in a copper container overnight. Drinking warm water with lemon juice and a pinch of salt is good. This can be taken several times aday. Observe fasting atleast once a week preferably on tuesday from 7 a.m. to 7 p.m. Fasting every week will improve your bowel movement. Aloe Vera gel can also be taken to ease the symptoms. Boiling raisins in milk, and drinking this before bed, can cure constipation.